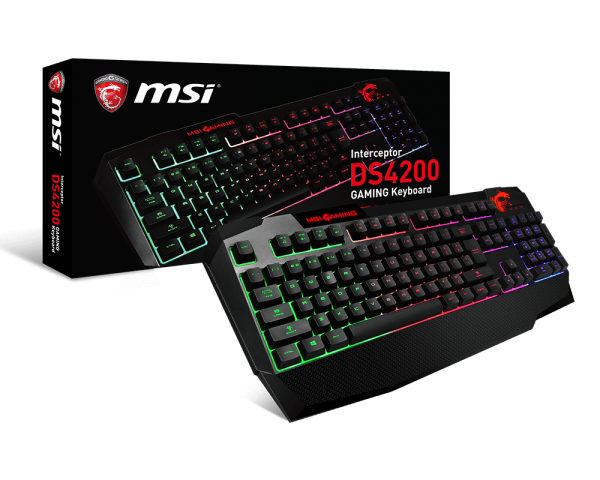 The DS4200 is MSI's first gaming keyboard featuring a tactile response for precision feedback. 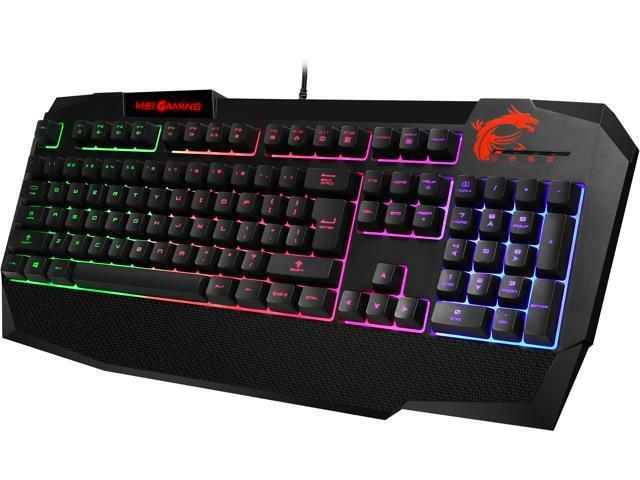 With mechanical-like switches and specific multi-color backlit keys, this keyboard provides gamers an exciting experience while playing games. Utilizing mechanical-like feel with replaceable keycaps, the DS4200 gives gamers an excellent responsive feeling with each keystroke, very close to a mechanical switch keyboard. This design supports a great gaming performance when concentrating on fighting against online opponents. Multi-color LED backlight and adjustable brightness bring a different style and night-time functionality to your desktop. These dazzling colors help you to be victorious when fighting in the dark! The integrated wrist rest design can fully support gamer's wrist with a comfortable flat base when typing or gaming. 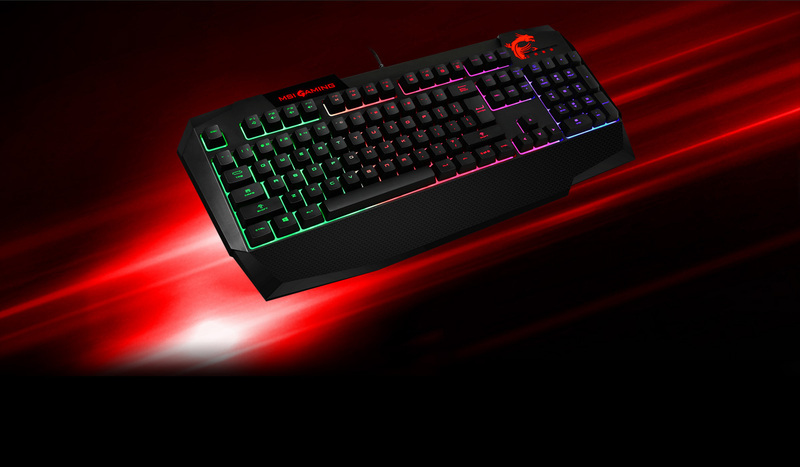 The Gaming Mode Key allows gamers to lock the Windows key preventing accidentally leaving the game while playing. 1.54" x 18.61" x 8.15"
This item is covered by Omicron Return Policy.